I had hoped to have good news today and report that the government shutdown was over….but alas…it drags on. I’m hoping for good news next week. If the partial government shutdown persists through tomorrow, which looks to be inevitable, it will become the longest shutdown in American history. Today it is tied for second place, at 21 days, with President Clinton’s 1995 shutdown. Tomorrow, for the first time, affected federal workers will not receive their paychecks, despite many being required to work anyway. Needless to say, Washington is a bit of a ghost town with museums shuttered and multiple federal buildings closed. Federal workers and their families are suffering around the country with mortgages due, groceries to be bought and the future unknown. The politics of this debacle do not look promising. With the newly in-charge Democrats in the House, led by Speaker Nancy Pelosi (D-CA), the standoff seems unending. President Trump has said “no wall, no deal” and Speaker Pelosi has responded with “no wall.” At this point Pres. Trump appears to be planning to move funds from other agencies to build the border wall with Mexico and then sign the appropriations bills which would open the government. But who knows? The Department of Education has announced members of a negotiated rule making committee on the Higher Education Act. Members of the group will meet for three sessions in January, February and March with the goal of coming to consensus on a range of issues in higher education resulting in new regulations. The Department says the goal of the rule making is to scale back and simplify higher education regulations on colleges and accreditors which impede innovation. Many of the Department’s regulatory proposals are also intended to scale back Obama era regulations. Areas to be addressed include the role of accreditors, new protections for religious colleges, ease of restrictions on alternative education providers, definitions of distance education and credit hour and student financial aid provisions. The negotiated rulemaking committee also includes three subcommittees, including one on TEACH grants. While members of the subcommittees will not be members of the full committee with voting authority, they will offer recommendations to the full committee. 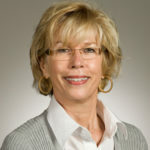 One member of the TEACH Subcommittee is the American Association of Colleges of Teacher Education’s (AACTE’s) Senior Director, Government Affairs, Deborah Koolbeck. Others include teacher education leaders in higher education: Willis Walter of Virginia State University and David Cantaffa of the State University of New York. The Department’s website (below) has a volume of information about this negotiated rulemaking, including the Department’s proposal for new provisions in new regulations. If the negotiators cannot come to agreement on a new proposal (as happened with the failed negotiated rulemaking committee on the teacher preparation regulations), the Department is free to develop whatever regulations it likes; however, they are required to have a public comment period. Wishing you an end to the government shutdown and a great weekend!